The impressive tail on this rugged glider makes it easier than ever to terrify whatever your shadow passes over! For added effect, imitate saurian hunting screams. 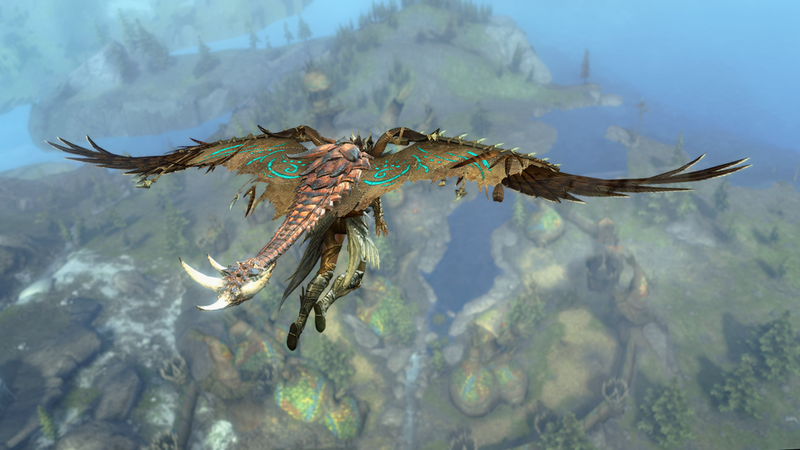 Give your mounts a total makeover—the Reforged Warhound Jackal Skin, Resplendent Avialan Raptor Skin, Umbral Demon Skimmer Skin, Summit Wildhorn Springer Skin, and Grand Lion Griffon Skin are back. Looks like 250-year-old trends are back in vogue! 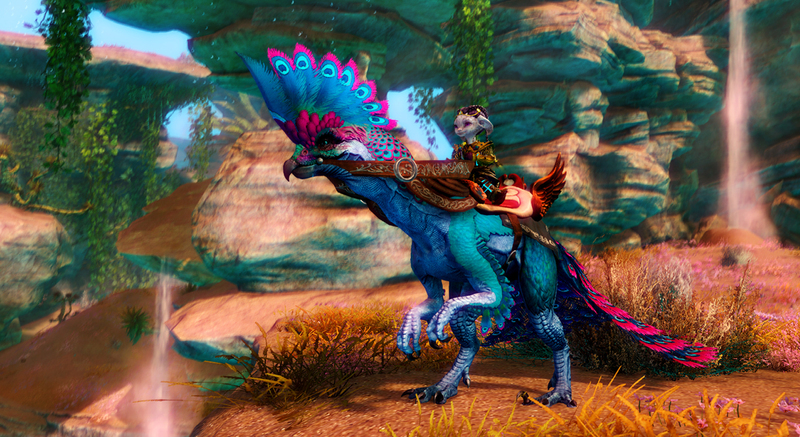 Keep an eye on the Gem Store throughout the week for weapon skins inspired by Tyria’s past. Snap up the Chain-Whip Sword Skin for a limited time, starting today. Dress Up Your Mounts for Halloween!